One of the unique privileges of being a chapter leadership consultant is having the opportunity to directly grow the Fraternity through an expansion. 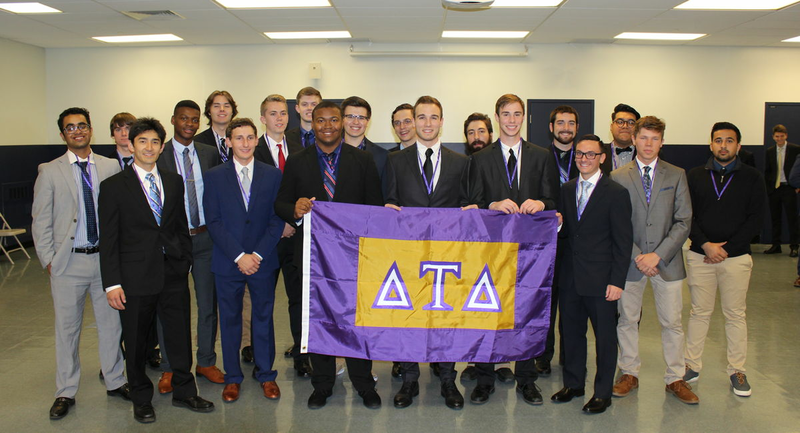 It is incredible to be able to walk onto a campus where there is not a single Delt and then leave behind a group of men who can call themselves Delta Tau Delta. The success of an expansion is contributed directly to the work, passion, and effort you and your team puts into it. Expansions are hands down my favorite aspect of being a consultant. From meeting with hundreds of interested individuals to integrating yourself within the community, culture and university, it is a quite the experience. Most of the time, I find myself gaining a strong affinity to the colleges and universities I have gone to for expansion purposes. I have been fortunate to have been on a total of three expansions so far, including the most recent expansion at the University of Connecticut. I have also been a part of the expansion projects at College of Charleston and University of North Carolina – Chapel Hill. I will forever feel connected to these schools and will keep a special place in my heart open for those colonies. One of my favorite expansion traditions includes what we consultants call “Victory Dinner.” After a long month of working hard, putting in upwards of 60-65 hours per week, and ending the official expansion process with the Colony Induction Ceremony, the consultant team is treated to dinner at one of the nicer well-known restaurants in the nearby area. It is the perfect wrap-up to an amazing adventure. I cannot wait to see what the future looks like for the colonies that I have helped create and model to be our version of only the very best that Delta Tau Delta can provide. As I go into my final semester in the consultant role, I can only hope that I will have another opportunity to serve the Fraternity once more on the expansion front.